PROJECT: Name a natural body care brand to reflect a fresh, sophisticated, and tasty “luxury for everyone” brand positioning. ECLAIR: An oblong cream puff. Origin: from French éclair “flash of lightning,” so named because it is eaten quickly (in a flash). BRAND POSITION: We were hired to name a new natural body care brand with a straightforward, powerful mission: “We believe that everybody deserves to have access to luxurious body care products that are also natural, efficacious and affordable.” All of the company’s products are non-GMO verified, gluten free, soy free, cruelty free and vegan, and are made in their own facility in the USA. 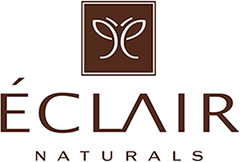 The name we created, Éclair, is perfect for this skincare and personal body care brand. Éclair is a fun yet very elegant name that works on multiple levels. As a delicious cream puff, the name maps perfectly to the concept that these natural personal body care products are so safe for your body that you could eat them. Phonetically, Éclair evokes clarity, and thus purity, illumination, and enlightenment. And the accented French spelling reinforces the luxuriousness of the brand. The name Éclair accomplishes this brand positioning magic while remaining grounded in a word that is common enough for everyone to know in its humble pastry form. The oscillation between quotidian and sophisticated, creamy and illuminated, generates creative friction that gives this brand great power and resonance.